Today I have a skincare review for you. Looking back, it has been so long since I’ve posted a review. Remember the old S&G when we used to post reviews everyday…. nevermind, lets just block that memory out. Sorry for bringing it up again. Anyways, I was recently at Sephora and decided to pick up the First Aid Beauty Face Cleanser. I love that this is fragrance-free. For some reason I hate when cleansers smell like anything so this was a huge plus. I also love that it is formulated specifically for sensitive skin. HOWEVER, I did start to break out a lot after using this product. BUT, I changed out a few products that I was using at the same time, so the acne may not have been from this experiment. If any of my science teachers were here, they would say I need to run a controlled experiment, but that is just way too much work rn. As far as how well it worked, this worked wonders. It took off excess makeup and any dirt/oil that was on my face. At first the formula was a little disconcerting, it felt more like a soap than a cleanser. But when applied it felt milky and smooth, so no complaints here. I also love the literal formula, as in what’s actually in it. It has no parabens or sulfates which I love! Overall I like this cleanser. I will continue to use it, and who knows maybe I’ll try an experiment to find out if this caused me to break out. I’ll update you guys when I know. 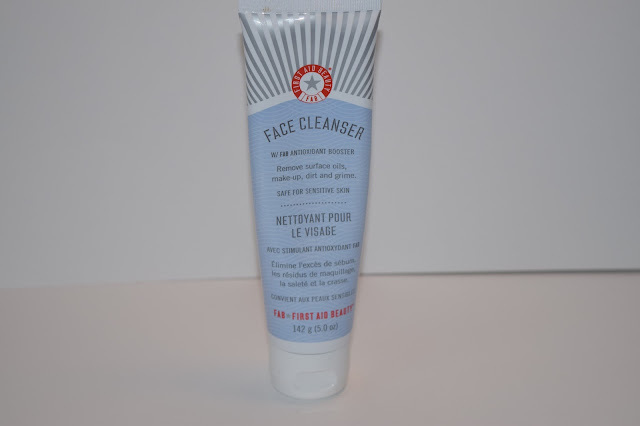 Comment below your thoughts on this cleanser!